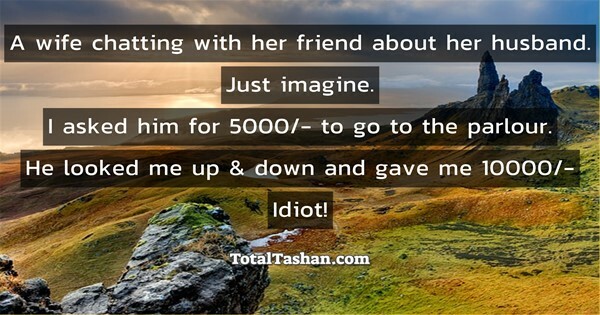 A wife chatting with her friend about her husband. 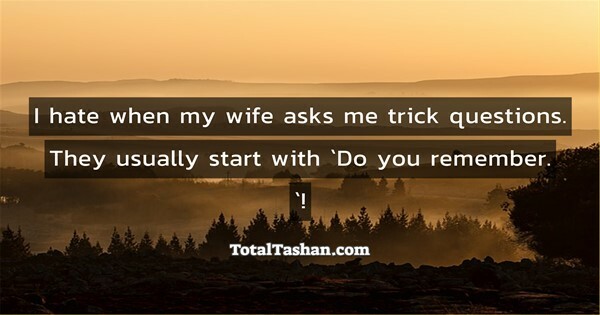 I hate when my wife asks me trick questions. They usually start with `Do you remember...`! Wife: I didn't find any hair on your shirt. 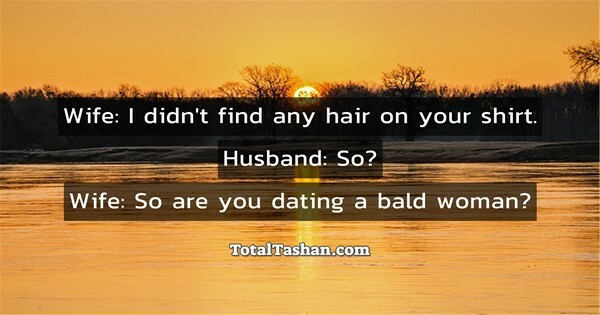 Wife: So are you dating a bald woman? 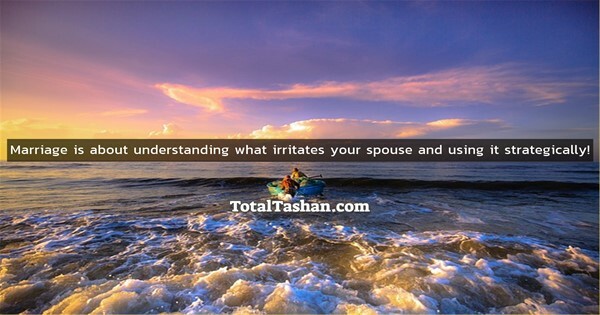 Marriage is about understanding what irritates your spouse and using it strategically! As he walked to the door she yelled, "And I hope you die a long, slow, and very painful death." 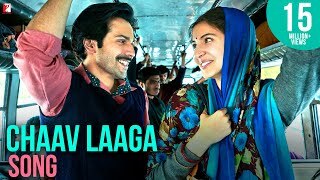 Husband turned around and said, "So you want me to stay?" You were meant for each other, and i was right. May you have happiness and a lot of love. 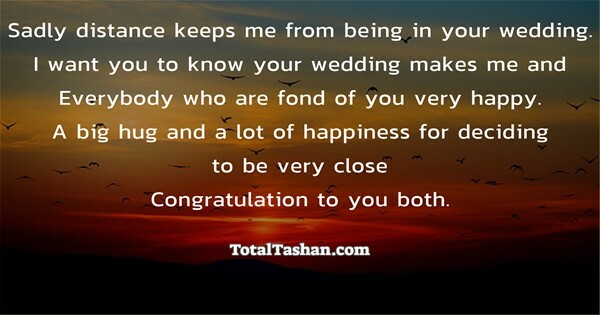 Sadly distance keeps me from being in your wedding. Everybody who are fond of you very happy. 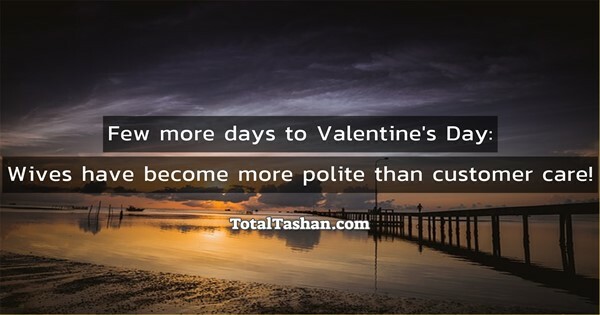 Definitely, have with each other. 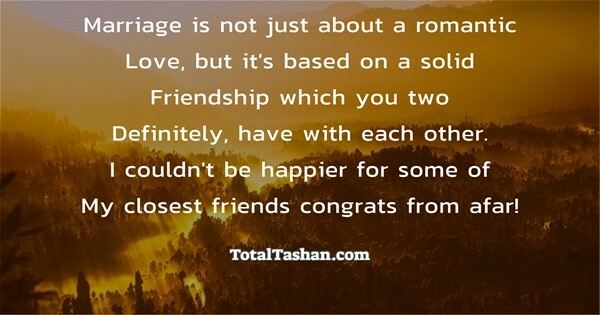 My closest friends congrats from afar! 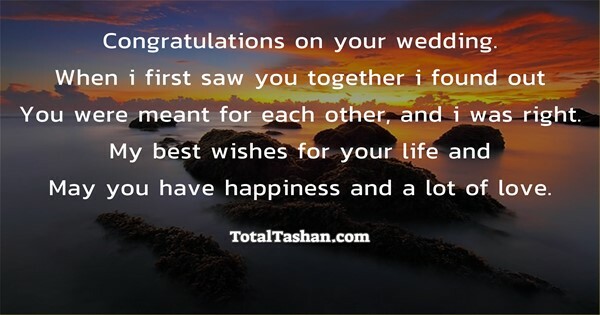 And have an amazing wedding day! 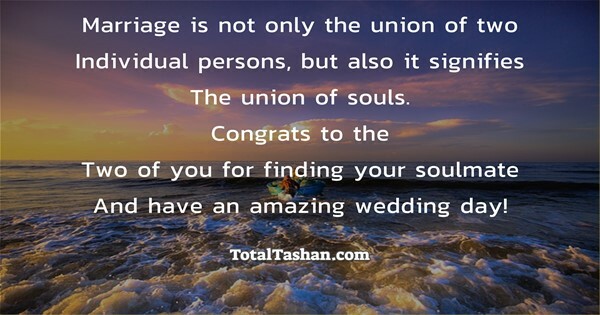 Day and a wonderful lifetime together! You both in good and in bad times. 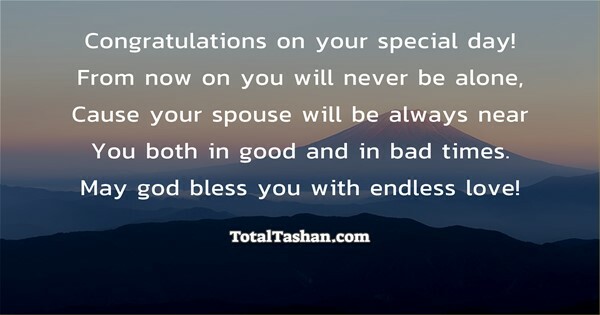 May god bless you with endless love!